David Hilbert was one of the mathematical greats of the 19th and 20th centuries. Today, mathematics and physics are still powerfully influenced by his work and his vision. David Hilbert was born on January 23, 1862, in Königsberg, Prussia, on the Baltic Sea. Königsberg is now called Kaliningrad and is part of Russia. David Hilbert’s parents were Otto Hilbert, who was a judge, and Maria Therese Erdtmann. His father came from a legal family, while his mother’s family were merchants. Both families were Protestant, and his father was devoted to his faith. It was his Maria Therese’s interests that shaped the young boy’s interests – she was an enthusiastic amateur mathematician and astronomer. At age 10, Hilbert began as a student at the Friedrichskollegium Gymnasium – a high school for academically talented children, where he studied for seven years. In his final high school year, he transferred to the more specialist math-science Wilhelm Gymnasium. He graduated at the highest academic level – good enough to study for a degree at any European university. Hilbert decided to stay close to home: in 1880, age 18, he enrolled to study mathematics at the University of Königsberg. Five years later, he had not only obtained a degree in mathematics, but a Ph.D. too. After completing his Ph.D. Hilbert spent winter at the University of Leipzig and in Paris. In 1886 he became a mathematics lecturer at the University of Königsberg. While studying for his degrees, Hilbert made friends with two other exceptionally talented mathematicians, Hermann Minkowski, a fellow student, and Adolf Hurwitz, an associate professor. The three pushed one another to ever greater mathematical heights – they would continue to exchange ideas for the rest of their careers. Starting in 1886, David Hilbert worked for nine years at the University of Königsberg, first as a lecturer, then as a professor. In 1895, age 33, he moved to the world’s then top mathematics university, the University of Göttingen, Germany, where giants such as Carl Friedrich Gauss, Bernhard Riemann, and Peter Dirichlet had been professors of mathematics. Hilbert would spend the rest of his career at Göttingen. In 1902, age 40, he became co-editor of the world’s leading mathematical journal, Mathematische Annalen. He retired from research and teaching work at the University of Göttingen in 1930, age 68. He continued working as co-editor of Mathematische Annalen until 1939. Hilbert was a pure mathematician. His knowledge of mathematics was unusually broad as well as deep, and he contributed to several areas of mathematics and also physics. The mathematics he did is often at a level that can stretch the best of us, so here are brief summaries of some of his most famous achievements. In 1888 Hilbert proved the finite basis theorem for any number of variables. In 1868, Paul Gordan had been able to prove the theorem, but for only two variables: three or more variables were simply too time consuming to prove. Hilbert used an entirely new abstract strategy for his proof, establishing that the theorem was true for an arbitrary number of variables. This was a major advance in algebraic number theory. In 1899 Hilbert published Foundations of Geometry. Geometry, like arithmetic, requires for its logical development only a small number of simple, fundamental principles. These fundamental principles are called the axioms of geometry. Hilbert’s new axioms of geometry replaced those of Euclid from over 2,000 years earlier, unifying two-dimensional and three-dimensional geometry into one system. In 1900 Hilbert took a sweeping overview of mathematics, defining his famous 23 problems. In doing so, he had a greater effect in shaping mathematics in the 20th century than any other person. Hilbert outlined 23 problems or questions he thought, if answered correctly, would carry mathematics to a new level. The list, he said, was not meant to exclude other problems, it was merely a sample of problems. Sample or not, since Hilbert first posed the 23 Problems, a huge amount of work has been done seeking the answers. Is mathematics doomed to suffer the same fate as other sciences that have split into separate branches?… Mathematics is, in my opinion, an indivisible whole… May the new century bring with it ingenious champions and many zealous and enthusiastic disciples. Although he was primarily a pure mathematician, Hilbert had broad tastes in mathematics. There is little if any separation between applied mathematics and mathematical physics. Hilbert sometimes dabbled in this area, often as a result of discussions with Hermann Minkowski, his old friend from his student days. After graduating, Minkowski went on to teach Albert Einstein in Zurich. In 1907 he took Einstein’s Special Theory of Relativity, published in 1905, and showed it could be advantageous to consider it differently – in four-dimensional spacetime – now called Minkowski Spacetime. Gradually a fascination with mathematical physics grew in Hilbert, and he spent increasing amounts of time thinking about the subject. By 1912 it had become his primary research field. He believed most physicists approached problems with insufficient mathematical rigor. He believed physics would benefit from the more rigorous approach pure mathematicians brought to problems. In summer 1915, Albert Einstein came to Göttingen at Hilbert’s invitation to lecture for a week. For years he had been struggling to express his (as yet) unpublished General Theory of Relativity mathematically. The meeting between the two great minds was obviously fruitful, because by November, they had independently derived and published field equations of gravitation, putting Einstein’s General Theory of Relativity on firm mathematical ground. Hilbert and Einstein used different methods to find the equations – each method had its own strengths and weaknesses. Hilbert never claimed any credit for the discovery of these equations, giving the credit to Einstein. Nevertheless, for some applications, Hilbert’s treatment of the field equations can be rather helpful. Hilbert extended vector algebra and calculus so they could be used in any number of dimensions. This was a huge advance in the development of both mathematics and physics. 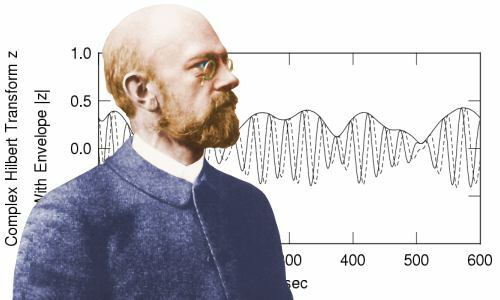 Today, Hilbert Space is essential in quantum mechanics, Fourier analysis, and in the applications of partial differential equations, which are numerous in physics and physical chemistry. In 1920 Hilbert founded mathematical formalism. He did this after realizing there were inconsistencies at the heart of arithmetic. He hoped to repeat with arithmetic and number theory the success he enjoyed in 1899 with the axioms of geometry. By choosing the correct axioms, he hoped to prove that the rest of classical mathematics would follow naturally. In 1931 Kurt Gödel proved that Hilbert’s Program could never be fully achieved. Gödel’s Incompleteness Theorems proved there are mathematical statements which, although true, can never be mathematically proved. David Hilbert retired from his professorship in 1930. His retirement years were spent living in Nazi Germany. Jewish mathematicians, many of whom had been his friends, were banished from Göttingen: they all left for other countries. It was a sad, rather lonely end for a brilliant, exceptionally influential mathematician, who had been a friend to everyone, and who was known for his zest for life. When he first arrived as a new professor at Göttingen he upset the older professors by going to the local billiard hall, where he played against his juniors. He was worshiped by his many students, whom he made a point of going on walks with, so they could talk about mathematical problems informally. David Hilbert died age 81 on February 14, 1943, in Göttingen. Only about 10 people attended his funeral, a pitiful number for a great and much loved mathematician. For one reason or another, the Nazis had more or less cleared Göttingen’s mathematics faculty of people Hilbert knew. David Hilbert is buried in Göttingen. No mathematician of equal stature has risen from our generation… Hilbert was singularly free from national and racial prejudices; in all public questions, be they political, social or spiritual, he stood forever on the side of freedom. David Hilbert was survived by his wife Käthe Jerosch and son Franz. Franz was intellectually challenged and suffered from one or more mental disorders. He spent some time in a mental hospital. David Hilbert found it hard to come to terms with his son’s condition. Käthe Jerosch died in 1945, and Franz died in 1969. Although this ending seems rather sad, Hilbert was a man who was forever optimistic about the future of human culture and science. When he was a young man, the beliefs of the physiologist Emil du Bois-Reymond had been in vogue. These six words – Wir müssen wissen, wir werden wissen – are the most famous words David Hilbert ever said. They are the epitaph on his gravestone in Göttingen and a rallying cry for all scientists. Images of David Hilbert enhanced and colorized by this website. "David Hilbert." Famous Scientists. famousscientists.org. 17 Nov. 2014. Web.